From September 13 to 15, 2018, Robert Wagner will be signing autographs and posing for photos with fans at the 13th annual Mid-Atlantic Nostalgia Convention. He will be joining a number of celebrities including Stefanie Powers, Loni Anderson, Barbara Eden, Diahann Carroll and Ed Begley, Jr. (It is my hope that I can talk to Mr. Begley for a spell about his father, who played the role of Charlie Chan on radio for a number of years.) The non-profit event benefits children with treatable cancer and will be among one of the first fan gatherings for Robert Wagner. Until now he never made an appearance at a convention to sign autographs for fans. I thought I would take a few moments and provide some cool trivia about the actor. 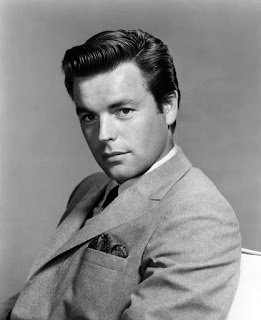 * Robert Wagner was considered for the role of the Sundance Kid in Butch Cassidy and the Sundance Kid. He turned it down. * After being submerged in an industrial strength foaming agent during the bathtub scene in The Pink Panther (1963), the actor went blind for four weeks. The studio wanted Wagner replaced, under the circumstances, but director Blake Edwards stuck by the actor and Wagner ultimately finished the picture. * Robert Wagner has two stars on the Hollywood Walk of Fame. One for motion-pictures and one for recording. * In his autobiography, Wagner confessed that he had a four-year relationship with actress Barbara Stanwyck, who was more than twenty years older than he. According to Wagner, she was his first great love and that she gave him more than any woman in his life. * He was engaged to Tina Sinatra for more than a year. * Robert Wagner was asked to play the role of Tom Lopaka on the television series, Hawaiian Eye, but he instead wanted to concentrate on movies. He recommended his friend Robert Conrad for the role, which led to Conrad being cast.